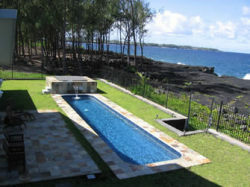 Welcome to our selection of holiday rentals in Hawaii. Hawaii is an archipelago located in the center of the Pacific Ocean and is the newest of the U.S. States, being admitted to the union in 1959. The state of Hawaii consists of almost all of the Hawaiian Island Chain, but is most well known for its main tourist islands � Hawaii (more commonly referred too as �The Big Island�), Maui, Lanai, Molokai, Oahu and Kauai. 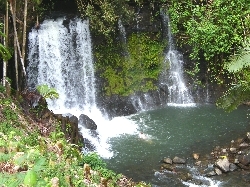 Hawaii offers its visitors a huge range of activities to do and places to see and explore. Hawaii�s Big Island is home to one of the world�s most active volcanoes. Visitors can take a trip through the Volcanoes National Park and watch lava spew from Kilauea, which produces over 250,000 cubic yards of lava each day. Lovers of the sea can enjoy swimming with Manta Rays or Whale Watching on Maui. Oahu is well known to surfers for its world famous Waikiki Beach. The beach is a favorite of surfers because of the large waves, but the beach and the perfect Hawaiian weather are perfect for those who just want to lay back and absorb the sunshine. Oahu is also known for Pearl Harbor, site of the attack by the Japanese during World War 2 that brought the U.S. into the war. Today tourists are welcome to visit the site of the infamous attack and see some of the historical monuments that remain today, including the resting place of the battleship Arizona and over 1000 of her crew who lost their lives. There is now a memorial that crosses the center of the sunken ship without touching it and receives over 1 million visitors each year. Visitors can also see the USS Bowfin, a submarine that serves as a museum ship. Tours are available and visitors can learn what life was like for the boats crew during World War 2. 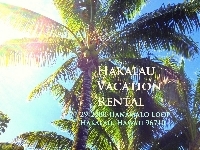 Looking for self catering holiday accommodation in Hawaii? 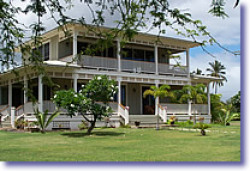 Then below is a selection of condos in Hawaii and houses in Hawaii that can be rented direct from their owners. You can either click on each listing for further details or you can use our search engine on the left if you are looking for something in particular.